March 2019 – IECL, Sydney. Recognised as the leading provider of coaching and leadership development in the Asia Pacific Region. They work with GrowthOps and their vision is to develop the next generation of exceptional leaders. Clients include Credit Suisse, Fujitsu, Lendlease, UTS, and HSBC. March 2019 – Aussie Online Entrepreneurs Annual Conference, Gold Coast, Australia. Nicola was invited to be one of three international speakers, the others being George Lawrence, Founder of MerchantWords.com and Sam Fawahl, of AMZBullet.com. Nicola lives in Greece some of the time but she can get to Athens International Airport easily, so if you have an exceptional event and you want an inspiring & knowledgeable speaker, just get in touch. Engaging, Connected & Her Mentoring Offer Sold Like CRAZY! Neil Asher, from Aussie Online Entrepreneurs, a very large community of Amazon & Ebay store owners, kindly shares his thoughts after Nicola spoke at his 2nd Annual Conference in Brisbane. “Her presentation was on how to use social media to build a strong brand and “Be Everywhere Online (In Under 20 Minutes A Week)”. Nicola shared how important it is for e-commerce entrepreneurs to build the “know, like & trust” factor using Social Media and how to do that even if you are a super busy person. I’m putting her suggestions into action immediately”. March 28th 2019 – IECL, Sydney. Recognised as the leading provider of coaching and leadership development in the Asia Pacific Region. They work with GrowthOps and their vision is to develop the next generation of exceptional leaders. Clients include Credit Suisse, Fujitsu, Lendlease, UTS, and HSBC. March 16th – 17th 2019, Sydney, AussieOnlineEntrepreneurs invited Nicola back. From their own particular perspective and focus, our diverse panel will share their views on: what the future might hold for coaching, the factors driving change in current practice and thinking, and how they believe the profession of coaching will evolve. The session is highly interactive with the audience encouraged to question the panel by the moderator Ginny Baillie. 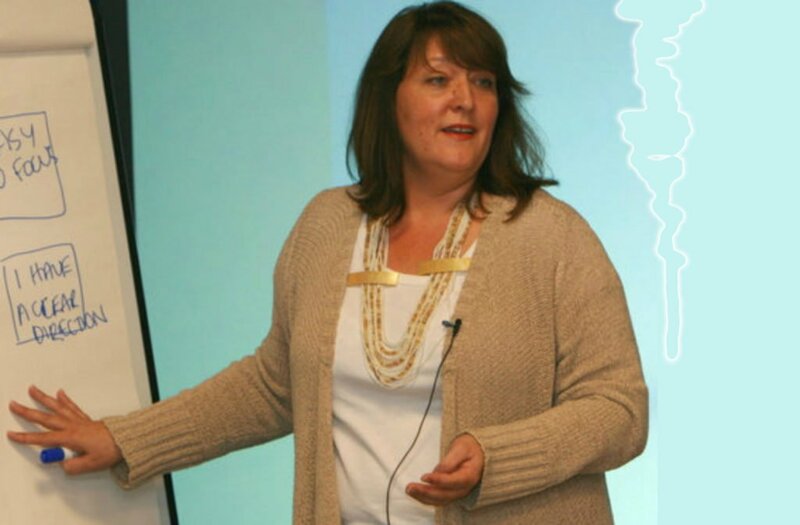 In this interactive workshop, Nicola shares her proven “Be Everywhere Online (In Under 20 Minutes A Week)” system, which creates a powerful personal brand, makes you stand out from the crowd, attract pre-qualified clients, charge premium prices and never have to feel like you are selling again. Nicola will share her experience and answer your questions about how you can apply the system yourself. Here’s my Inspire! 2014 Presentation – some techie challenges as the clicker didn’t work, but we overcome those with the help of Joe on the tech desk! I cover a bit of my entrepreneurial story then talk about how Facebook Ads can help small businesses market themselves better online. Neil Asher, from Aussie Online Entrepreneurs, a large community of Amazon & Ebay store owners, kindly shares his thoughts after I spoke at his 2nd Annual Conference. My presentation was on how to use social media to build a strong brand and “Be Everywhere Online (In Under 20 Minutes A Week)” and I shared how important it is for ecommerce entrepreneurs to build the “know, like & trust” factor using Social Media. March 28 2019 – IECL, Sydney. Recognised as the leading provider of coaching and leadership development in the Asia Pacific Region. They work with GrowthOps and their vision is to develop the next generation of exceptional leaders. Clients include Credit Suisse, Fujitsu, Lendlease, UTS, and HSBC. March 16/17th 2019 – Aussie Online Entrepreneurs Annual Conference, Gold Coast, Australia. Nicola was invited to be one of three international speakers, the others being George Lawrence, Founder of MerchantWords.com and Sam Fawahl, of AMZBullet.com. The Ultimate Virtual Conference for ambitious female executives, leaders and managers who want to Step Up and Stand Out in their career and in their community. Whether you’re an advanced business owner or you’re just ready to explore becoming an entrepreneur, INSPIRE™ 2014 will deliver up-to-the-minute business strategies, passionate inspiration, and networking that is second to none! Nicola Cairncross is an experienced speaker who has spoken for the Chartered Institute Of Management Accountants (Annual Conference) where she was voted 4th Best Speaker (out of 19 and it was her first big speaking event! ), Barclays Bank, Business Scene, Institute of Directors, Visa International Plc, Pampers iVillage, National VA Awards Ceremony and for many other corporate organisations. She is the only British Female Internet Marketer asked to speak TWICE at the World Internet Summit, with Brett McFall, Tom Hua, Armand Morin, Mike Stewart, Sean Roach, Ewan Chia etc. The Top 3 Ways To Start A Business – How To Make Full Time Money Working Part Time Hours! Listen to the opening 10 minutes here…..
With thanks to Sarah Staar & Chris & Susan Beesley who kindly gave me such wonderful testimonials.